San Francisco is partnering with a community college to offer free tuition to city residents starting next fall. On Monday, San Francisco Mayor Ed Lee announced it would start setting aside $5.4 million per year to cover enrollment fees and other expenses for City College of San Francisco students, making it the first city in the nation to offer free tuition to residents. The college will use $2.1 million of that total each year to cover the cost of credit classes for California residents who have lived in San Francisco for at least a year. At $46 per credit, the funding will cover around 45,000 credits, City College spokesperson Jeffrey Hamilton said. Because course loads vary widely, it’s hard to tell how many students will receive free tuition until registration closes in the fall. The remaining $3.3 million in funding will go toward covering books, transportation, supplies and health fees for low-income students who have Board of Governors (BOG) tuition waivers. Overall, the program could provide some form of assistance to 28,000 to 30,000 students, Hamilton told the NewsHour, though it’s not clear how many will enroll. Mayor Lee’s announcement comes as the idea of free college has gained popularity, both on the national stage, as a cornerstone of Vermont Sen. Bernie Sanders’ 2016 campaign for president, and also within state legislatures. Several other states already have tuition-free programs in place, some of which came after President Barack Obama’s push for free community college in 2015. Kentucky, Oregon, Tennessee and Minnesota already have last-dollar scholarship programs that cover any remaining tuition fees after state and federal grant aid, with varying eligibility requirements. The plan announced by Mayor Lee on Monday, however, is different: It allows all residents to enroll, regardless of age, with no income eligibility requirements. Last month, New York Gov. Andrew Cuomo proposed making all New York state, city and community colleges tuition-free for New York residents of households that earn less than $125,000 a year. And in Rhode Island, Gov. Gina Raimondo put forward a similar proposal: two years of free tuition at state colleges, with the benefit coming in the first two years for community college students and the last two for those at four-year institutions. Like Mayor Lee, Raimondo put no income requirements on her plan. The New York and Rhode Island plans both need legislative approval. Supporting Cuomo at his press conference about the plan last month, Sanders hailed the New York plan as a model for the nation. “It’s an idea that’s going to reverberate not only throughout the State of New York, but throughout this country,” he said. 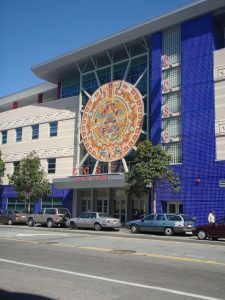 City College of San Francisco, like many supporters of free tuition programs, is also hoping the new initiative will boost enrollment. The college’s enrollment has dropped from 90,000 to 65,000 since 2012, according to The San Francisco Chronicle. Critics of free tuition programs worry the programs will give unnecessary handouts to wealthy families, or duplicate programs that already offer financial assistance to low-income students. Some private institutions have also worried how free state and community college tuitions will affect their own enrollment. Those fights are likely to play out in New York, Rhode Island and several other states where the issue is on the agenda for 2017. Lawmakers in Minnesota have proposed a bill that would expand on programs already in place by providing free two- and four-year college tuition for families making less than $125,000, similar to the New York legislation. Tennessee Gov. Bill Haslem has also proposed expanding the existing tuition-free program to include adults as well as recent high school graduates.